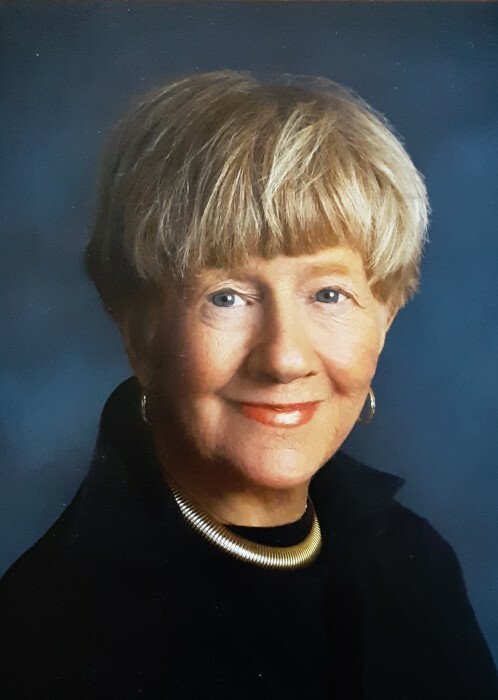 SOLAREK, Sarah “Sally” McBride, passed away Friday, March 22, 2019 at Lincoln Park Manor, Kettering, Ohio. Born in Dayton, she was the daughter of the late Francis Emmett McBride and Ruth Sarah Diemer. She was a graduate of Sacred Heart Academy, Cincinnati, Ohio and Marymount College, New York. She was the Parish Center Manager for St. Albert the Great Catholic Church, where she touched the lives of many young people. Sarah served her community in many capacities. She was a staple of the community, volunteering at the Dayton Philharmonic Volunteer Association and the Junior League of Dayton (where she received the Katharine Kennedy Brown Community Leadership Award). She also served as the President of the Oakwood Historical Society and was active in the Wegerzyn Garden Center Associate Board, Four Seasons Garden Club, and the Oakwood Environmental Committee. Preceded in death by her parents, two sons, John C. Solarek and Steven A. Solarek and one sister, Ruth Bayley. Surviving are her two sons, James C. “Guy” Solarek and his wife Cindy of Greenwood, Indiana and Jeffrey F. Solarek and his wife, Karen; five grandchildren, James (Aisling) Solarek, Ruth (Trent) Campbell, Andrew (Jessica) Solarek, Timothy (Krista) Solarek and Thomas Solarek; one brother, Francis E. McBride, Jr. Many thanks to all those who brought countless joy to Sally’s life. A Mass of Christian Burial will be held at 10:00 a.m. Saturday, March 30, 2019, at St. Albert the Great Catholic Church, 3033 Far Hills Avenue, Kettering with Father James Manning and Father Chris Worland officiating. In lieu of flowers, memorial contributions may be made to St. Albert the Great Catholic Church Building and Grounds or PTO fund, 3033 Far Hills Avenue, Kettering, Ohio 45429, the Dayton Philharmonics Volunteer Association P. O. Box 525, Dayton, Ohio 45409 or the charity of your choice.